Ideally located a few minutes walk from the world famous Khao San Road and Thailand’s leading area for historical sites and places of tourism (known as “Rattanakosin Island”), Rambuttri Village Inn offers guests a superb location whether your pleasure be shopping, entertainment, dinning or simply exploring Bangkok. 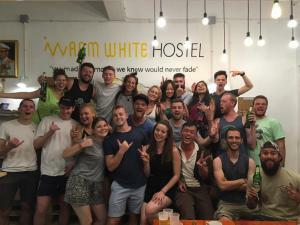 Ideal for the budget traveler, this hotel is located within walking distance of the famed backpacker street of Khao San. Located in Ratanakosin, you are in the Old City and surrounded by many cultural monuments. These include the Grand Palace, Temple of the Emerald Buddha, and Temple of Dawn among other - many of which can be reached on foot. At night, walk over to Khao San for some inexpensive dinner, cocktails, and street side shopping. The rest of Bangkok, with upscale restaurants, bars, and malls, is just a short cab ride away. 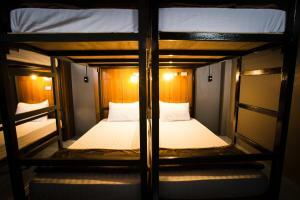 Close to the tourist haven of Khao San, yet far enough to guarantee a pleasant night's sleep, Rambuttri Village Hotel is an affordable place to make base in Bangkok.